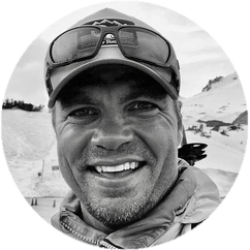 Performance Coach, Business Leader, Veteran Fitness Professional, and Mountain Athlete, Jarod Cogswell, has led his teams to produce over $13 million in annual revenue and $1.5 million in yearly personal training sales. As a Todd Durkin Mastermind Coach, he helps fitness professionals all over the country maximize the potential of their businesses, as well as, their personal development. Jarod serves also as a Keynote Speaker for some of the top companies in the world and develops memorable long lasting Team Building experiences. Besides fitness, his passion is climbing and snowboarding mountains and is the author of WORK like an Athlete.